There are only so many ways to photograph a clear blue Sky. So most images are of something against the Sky. 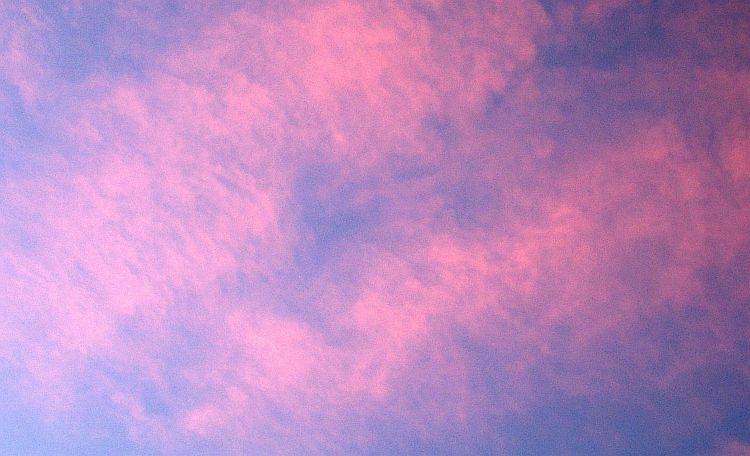 This was taken at sunset and does show some Sky, highlighted by some rather nice, very high, clouds. Which SKY will you find to show us this week’s Foto Finder? Mount Magnet is an old gold-mining town around six hours north of Perth. The mines are still productive so it is a town built on rock. Just North of the town is a large break-away where the rocky plateau has broken away and beneath a long rugged 15 metre cliff is a dry sandy water plain. The sand here is in obvious water courses and has more snake tracks than I have ever seen in one place. This is the area known as “The Granites“. That this plain has gold dust in abundance is a fact I know from personal experience. It is also illegal to mine or pan within this reserve as it was a special place for the ancient inhabitants of Australia. The rocks and caves a filled with rock carvings and paintings. 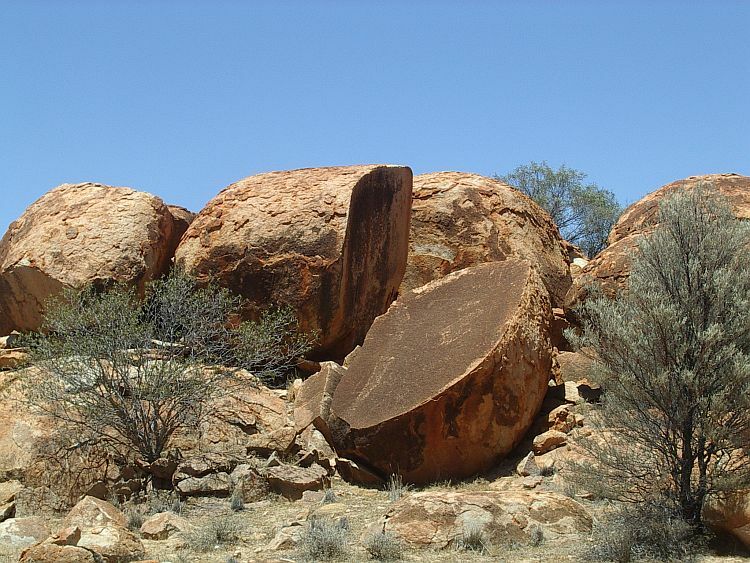 I was simply impressed with the size of the many near-spherical granite rocks, many of which have split in half. Which ROCKS will you show us for this week’s Foto Finder? An early morning scene on a remote desert sand dune after a busy night. 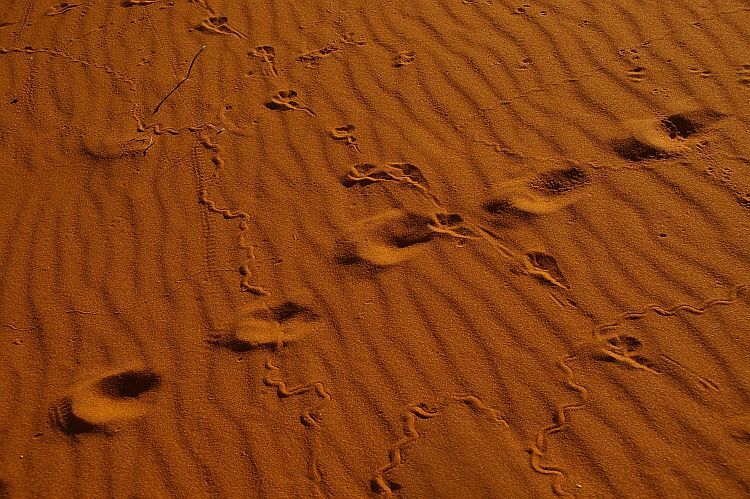 I recognise worm and underground lizard trails, beetle tracks, a hopping mouse, a monitor lizard, a dingo and something large from early in the night which may have been a camel. All of them left tracks. Which TRACKS will you show us for this week’s Foto Finder? This week’s Foto Finder could have taken many paths . 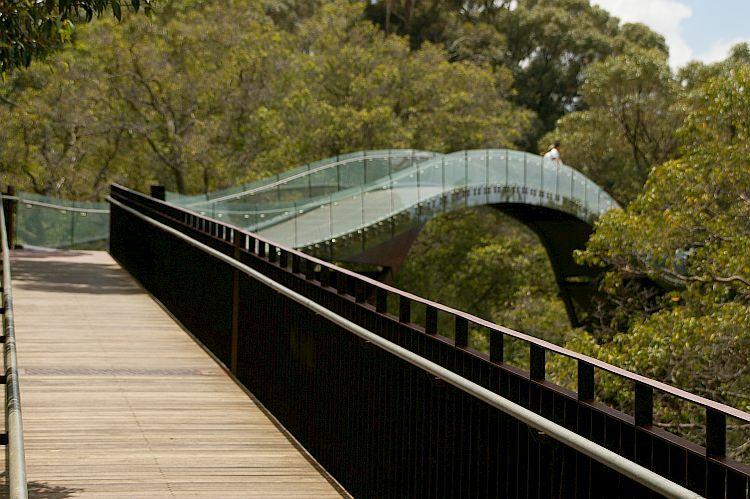 I chose this “Path in the Sky” which runs across a part of Perth’s Kings Park. I place I have recently re-discovered and enjoyed. Along the edge of Mt Eliza and giving views of the Swan and Canning Rivers as well as the Perth CBD. All with the added bonus of genuine Australian Bushland on the other side. Which PATH will you take in this week’s Foto Finder?